Em Stafrace| Just a Girl with Ideas: THAT'S HOW I ROLL! Thought I'd share a few more pages with you guys. Its been a couple of weeks so a bit over due, but I have been busy releasing new goodies in my store and well these are the latest pages using them. 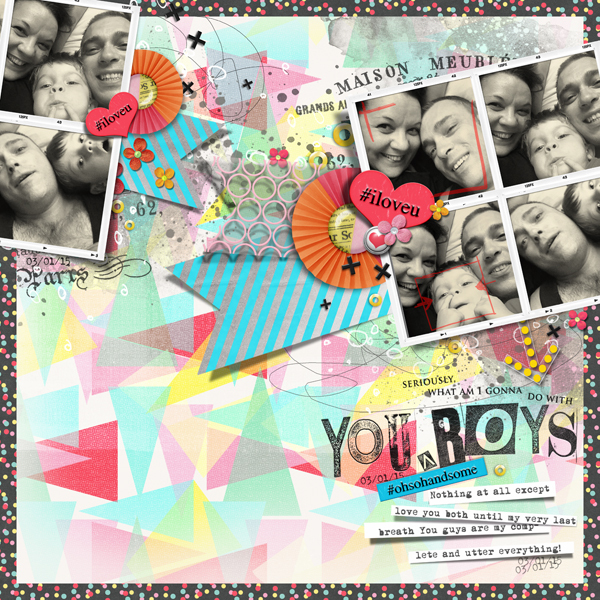 THE NIFTY PIXEL| Sweet Thing Digital Kit, Sweet Thing Dymo Labels, Sweet Thing Geo Papers, Contact Sheets Vol.1, Makin' Marks Vol.1 Brush Set and Stamped Letter Mash Up Alpha. 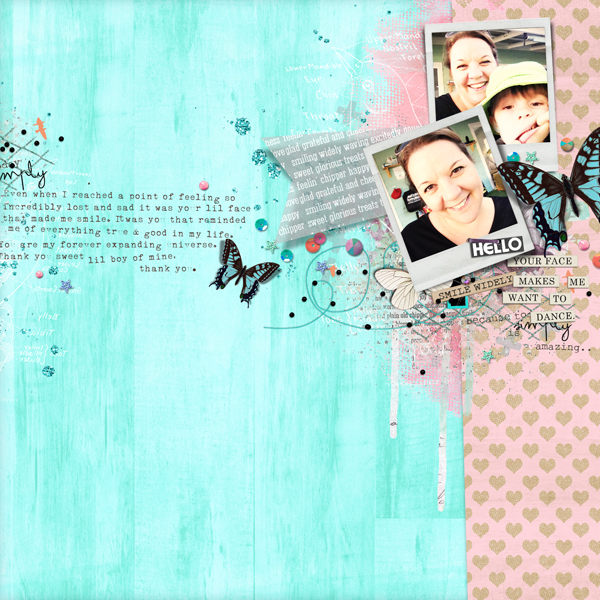 The current monthly challenge held at Pink Reptile Designs is now live. The challenge is based on this months Trend Watch which is all about photo treatments. Go check out the criteria, its tonnes of fun and had to go with my usual extraction and overlaying techniques with this photo of the Tige with daddy and grandpa! Here is the Challenge Link. 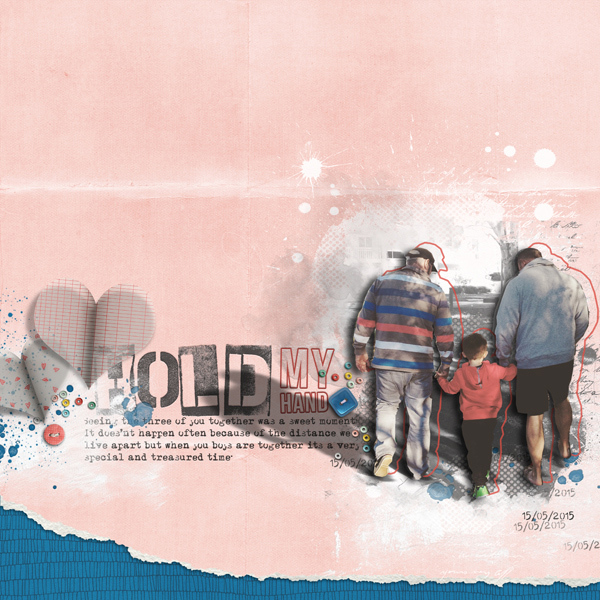 Lastly PRD teamed up with Studio Basic Designs again and created an awesome collab kit. 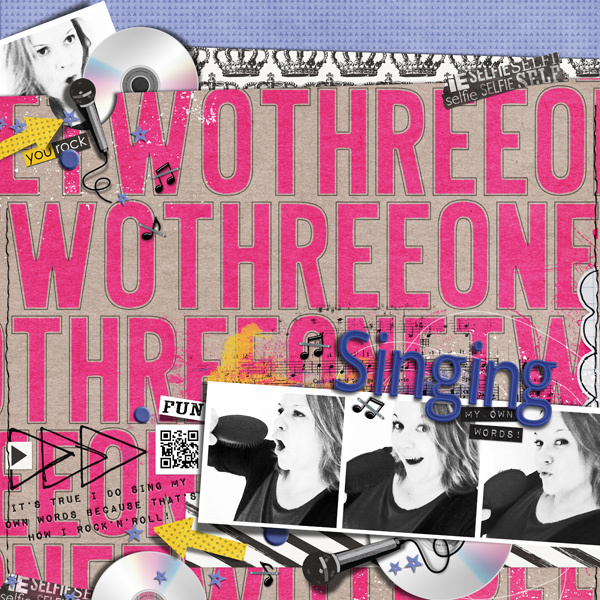 I had tonnes of fun with this one even recorded myself singing!!!! Lordy give me strength, its not pretty but hey I had fun and well thats how I rock 'n' roll or at the very least sing with Sneaky Sound System!